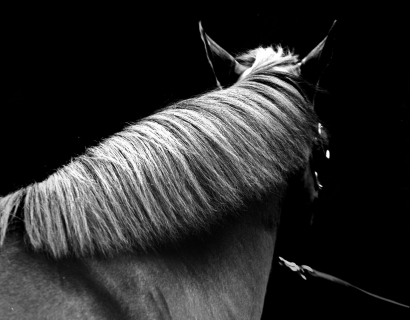 Steven Kasher Gallery is pleased to present the debut exhibition of Neil Latham: American Thoroughbred. 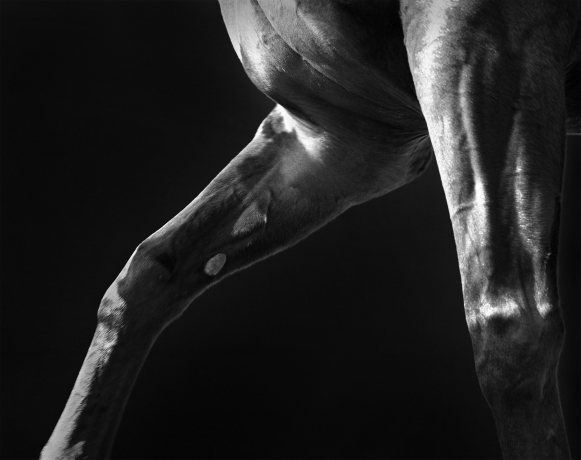 The show will feature over 25 large-scale black and white photographs of America’s greatest race horses including the winner of the Triple Crown, American Pharoah. 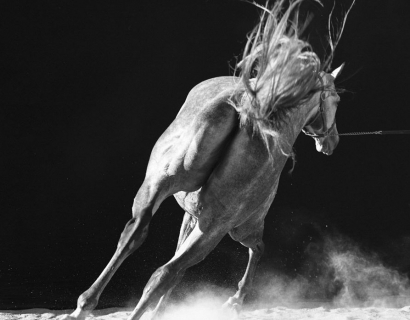 The show is held in conjunction with the publication of Latham’s monograph American Thoroughbred (Twin Palms, 2016) and on the occasion of the 2016 Belmont Stakes. In 2013, Latham took a drive from New York City north into horse country to clear his head after his mother’s passing. “I remember the instant it happened. I saw the muscular shoulder of a horse standing by a fence, and I flashed on my mother’s similar back shoulder as she worked in her rose garden. I stopped breathing. I hit the brakes and stared.” Then he did what came naturally as a photographer: he reached for his camera and began to photograph. “The muscular definition and power of the animal was intriguing to me. I tapped into something in that split second, and it linked to my mother. I felt compelled to discover what the connection was.” What he recorded that day on film launched him on a three-year journey to explore the enigma of the American Thoroughbred. 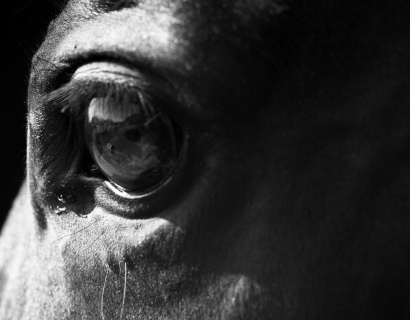 Latham convinced horse owners and trainers to let him photograph their multimillion-dollar racehorses. He crisscrossed the country loaded with equipment. He spent months sleeping in the groom dorms at Saratoga Race Course and camping in a tent at Kentucky Horse Park. 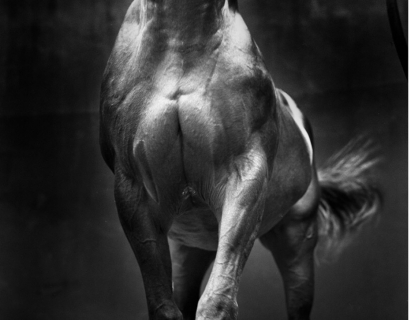 He photographed thoroughbred legends such as A.P. Indy, Curlin, Tapit, Rachel Alexandra, and Ghostzapper and shared a unique connection with retired racing legend Zenyatta, the winningest horse of our time. What is it about these animals that continues to captivate us? The relationship between man and horse is undoubtedly unique. Perhaps we relate to their incredible strength, which we aim to conquer. 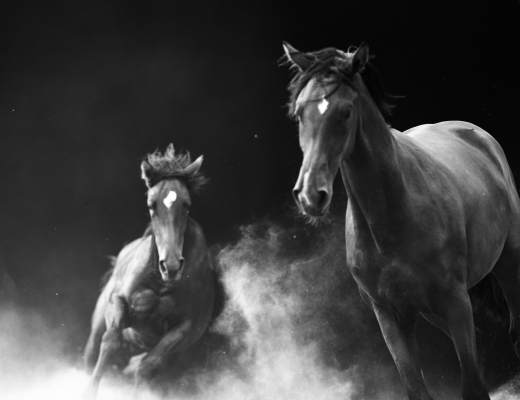 Recent studies have shown that when in contact a horse's heart rate may mirror a human's emotions, signifying an unspoken form of communication between man and beast. Artists carved crude images of horses on cave walls in the prehistoric era. Thousands of years later, these magnificent creatures continue to fascinate us. Thoroughbred racing, which was developed in France during the 19th century, inspired the Romantic and Impressionist artists. Latham’s portraits extend this long tradition. 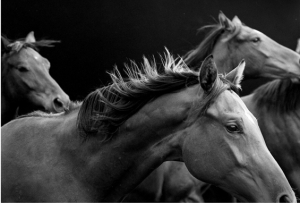 Classical yet remarkably fresh, his photographs examine the thoroughbred as it has never been captured before. Latham built a remarkable portable studio with a black backdrop 20 feet tall and 36 feet wide held up with industrial stands, staked to the ground. The entire set had to be rotated 10 degrees every fifteen minutes to maintain the perfect angle to the sun; in a full day twenty-seven times. Each photograph was based on an initial sketch. Neil Latham was born 1969 in Warwickshire, England, and lives and works in New York City. Latham is a fine art and commercial photographer. From an early age, Latham was exposed to photography by his parents who always carried their 35mm cameras. After the passing of his mother, Latham’s work has made a major shift toward the more personal and serious, starting with American Thoroughbred. 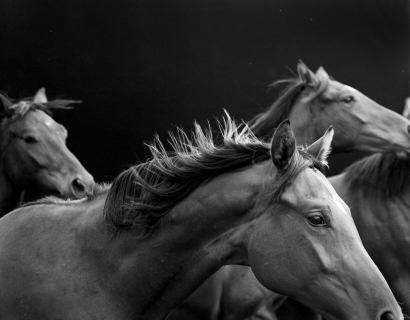 Neil Latham: American Thoroughbred will be on view June 9th – July 30th, 2016. 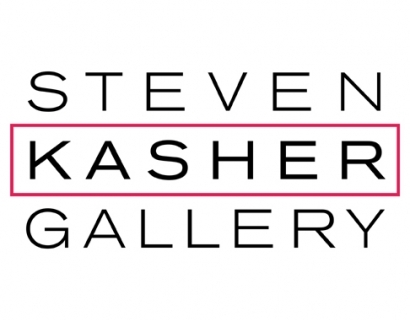 Steven Kasher Gallery is located at 515 W. 26th St., New York, NY 10001. Gallery hours are Tuesday through Saturday, 10 AM to 6 PM through July 8th. Summer hours begin July 11th, Monday – Friday 10AM to 6PM. For more information about the exhibition and all other general inquiries, please contact Cassandra Johnson, 212 966 3978, cassandra@stevenkasher.com. NewYork.com names our summer exhibitions one of "10 Best Photography Exhibits in New York City". 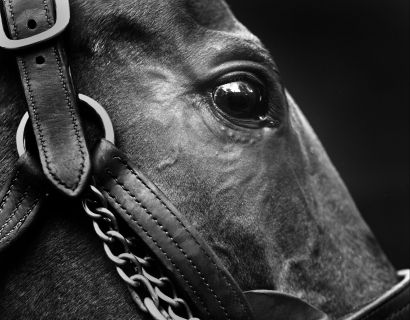 The Zenyatta Blog goes behind the scenes of Neil Latham's photo shoot with the most winningest horse of our time. Zenyatta becomes not only the most prestigious race horse of our era but now has a place of honor among the most photographic race horses of our time. L'Oeil de la Photographie goes behind the scenes of Neil Latham's photographic process. Whither the Book explores the history of horses in art with respect to Neil Latham's current exhibition. 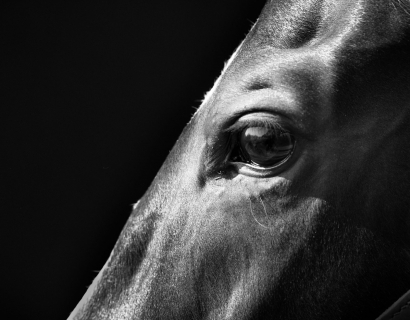 Style of Sport interviews Neil Latham about his upcoming exhibition and his experience photographing legendary race horses. 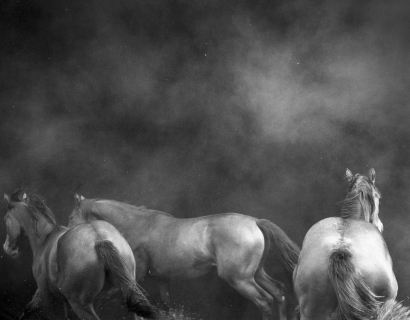 The Blood Horse goes behind the scenes of Neil Latham's upcoming exhibition, "American Thoroughbred". Horsetalk takes us behind the scenes of our upcoming exhibition, Neil Latham: American Thoroughbred. ABC News helps us to announce our upcoming exhibition Neil Latham: American Thoroughbred. Neil Latham's breathtaking photographs bring Joe Sexton back to his youth.